THIS GIVEAWAY IS NOW CLOSED. Congrats to Graham McGrann for winning the comic! 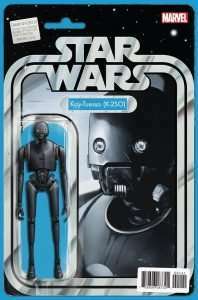 I am giving away one copy of the John Tyler Christopher exclusive action figure variant for Cassian & K-2SO #1. This cover was exclusively available on the artists website, and features K-2SO on the cover! 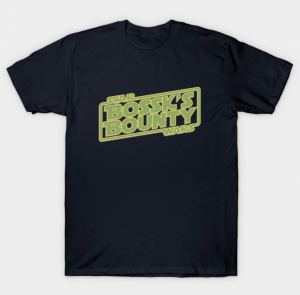 Perfect for any Star Wars comic collector! Just dropping a note to say thanks for this competition! I always get a sinking heart feeling when I see the odd one or two of the new figure variants set at a price making it impossible to afford. Thanks for the comment Simon, yeah the Exclusive variants can cost a bit. When they are only available in America we have to pay for postage, import tax and on top of that a terrible exchange rate. I’d be interested to know how your collection is going on the Checklist post. The Star Destroyer Commander Is my favourite cover!